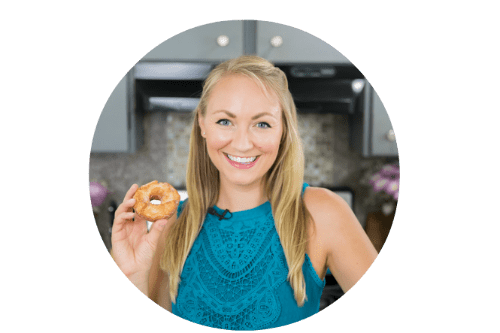 You are here: Home / Desserts / Cupcakes / Gingerbread Cupcakes & A Giveaway! 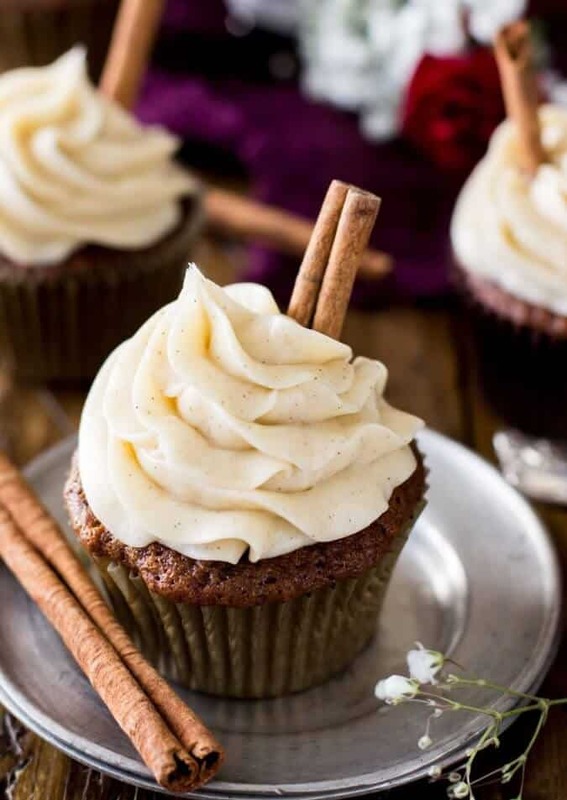 Sweet, soft gingerbread cupcakes infused with the spices of fall and topped with a vanilla bean & cinnamon-speckled frosting. Make sure to scroll down to the end of the post to enter in a giveaway for some of my favorite Rodelle products! I think we’ve all had enough of politics over these past few months, so today we’re sticking strictly to cupcakes. 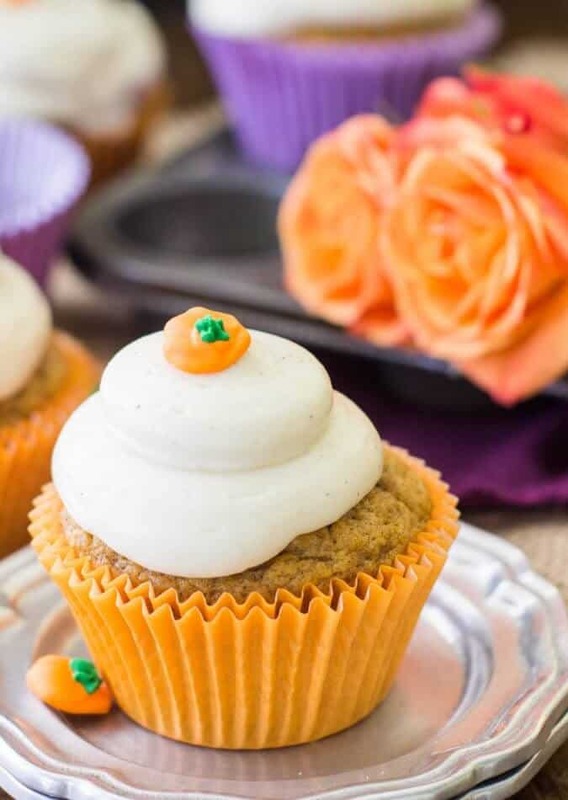 No matter which side you fall on, I have a feeling you can appreciate a good cupcake recipe. I mentioned these cupcakes in my last post, in what I called “The Great Cupcake Fiasco”. TEN times I trialed this recipe trying to get it right. TEN! I melted butter, creamed butter, substituted oil, switched up the number of eggs, increased and decreased my leaveners and made just about every possible recipe change I could think of. My kitchen trash can has devoured dozens of cupcakes, some that were dry as sand (Zach took a giant “test bite” of one of those… big mistake! ), dense as bricks, and many with sunken, deflated tops. First they were too dry, then when I tried to make up for that they became too wet, oily, and saturating their wrappers and leaving a greasy film on everything they touched. These cupcakes were a challenge. But, guess what: finally, finally, finally everything came together. Finally I get to share these cupcakes with you that are neither too dry nor too oily — they’re perfectly moist and tender. They’re not dense nor are they sunken, they’re soft, fluffy, and lightly textured with tops that don’t necessarily puff and round, but spring back to the touch. The spices are carefully balanced, lots of ginger and cinnamon, a little nutmeg, a sprinkle of allspice and ground cloves. Tastes like Fall. 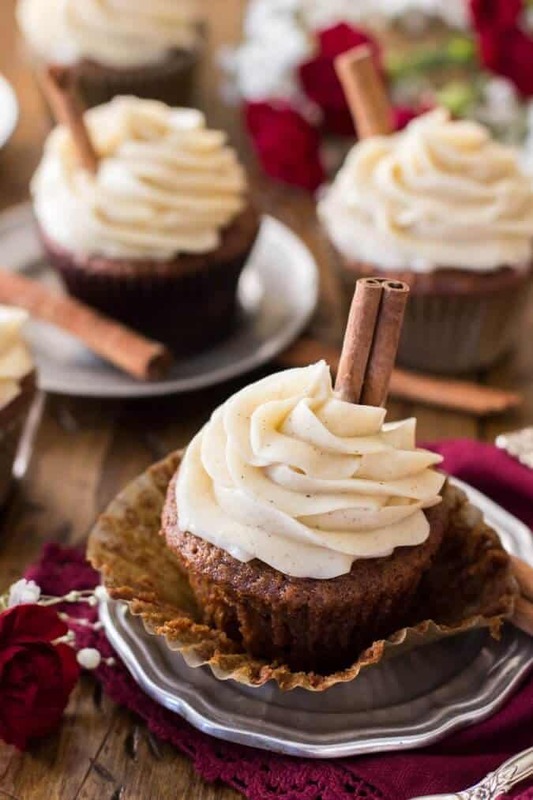 This is gingerbread without the crunch of a cookie or the density of a loaf-pan — gingerbread in the form of pure cupcake perfection. To frost these temperamental little cupcakes, I first played with a white chocolate buttercream but decided that it made things much too sweet. So cream cheese it was. 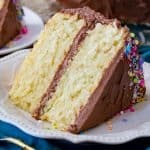 I feel like I’m always throwing cream cheese based frostings at you, but I can’t help it, they’re my favorite! 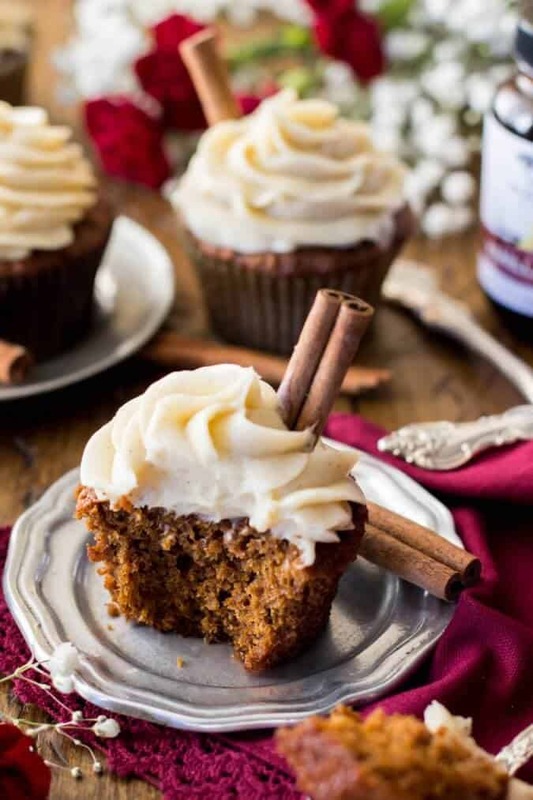 Not too sweet, and not overpowering in flavor, and perfectly complementary to these spiced gingerbread cupcakes. 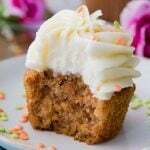 I added a little bit of brown sugar and a sprinkle of cinnamon to this frosting for a little extra flavor. Top with cinnamon sticks if desired (mostly just for decorative purposes!). Recently I’ve been a little obsessed with using vanilla paste, and those are half of the specks you see in the above frosting (the rest are cinnamon flecks). 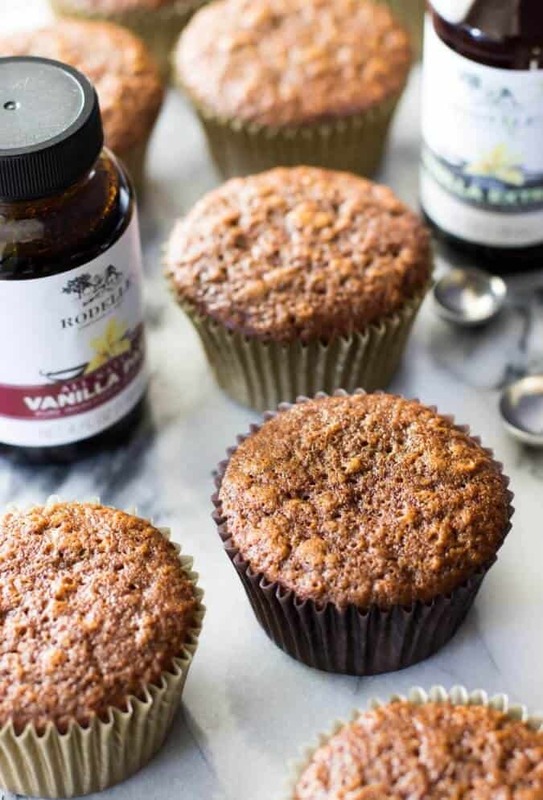 While I love using real vanilla beans when I can, I’ve been using Rodelle’s vanilla bean paste, which I’m absolutely in love with — it has a rich vanilla flavor without the hassle of scraping a (expensive) vanilla bean. And those vanilla flecks are just everything to me <3. Speaking of Rodelle, I have to mention that I’m very proud to officially be a brand ambassador for them! I know I’ve mentioned their products before, and my pantry is always fully stocked with plenty of Rodelle vanilla, so I’m very happy to be working with them. I don’t know if you’ve ever used their products before, but I wanted to give you the chance to do so, and so we’re running a giveaway for a bundle of their products. 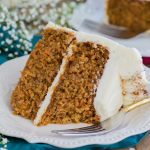 Make sure to enter the giveaway just before the recipe below! I’m happy to have partnered with Rodelle as a Brand Ambassador to host this giveaway, thank you for supporting the brands that support Sugar Spun Run! As always, all opinions & content are my own. The giveaway has ended — Congratulations Theresa! 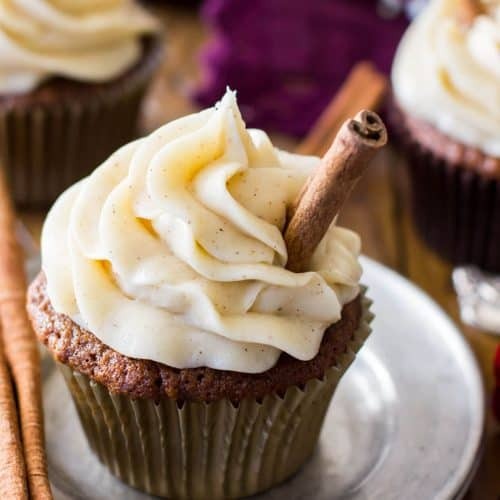 Soft and fluffy gingerbread cupcakes with a cinnamon spiced cream cheese frosting. Preheat oven to 350F (177C) and line a 12-cavity cupcake tin with paper liners. 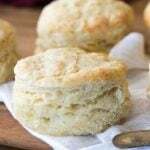 In stand mixer, beat together butter and brown sugar until light and fluffy. Add egg and beat until well-combined. Stir in Rodelle vanilla extract. 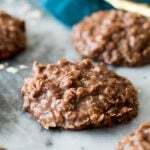 Combine buttermilk and molasses in a large measuring cup and stir with a fork until combined. With mixer on low-speed, gradually add buttermilk/molasses mixture until combined (you may notice some separation, this is fine), pausing occasionally to scrape down sides and bottom of bowl. 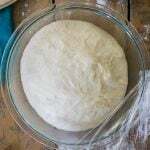 In a separate, medium-sized bowl, whisk together flour, baking soda, baking powder, salt, and spices. Gradually stir dry ingredients into wet until completely combined (take care not to over-mix). Bake on 350F (177C) for 18-20 minutes or until tops spring back to the touch. 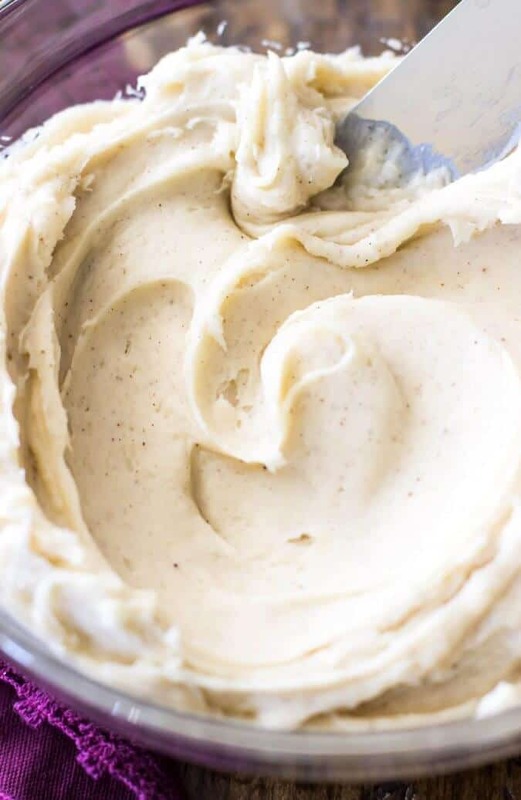 In a stand mixer (or in a large bowl using an electric mixer), beat together butter, cream cheese, and brown sugar until well-creamed. Gradually add powdered sugar until completely combined. Pause occasionally to scrape down sides of the bowl. Stir in ground cinnamon, if desired. Spread or pipe frosting over cooled cupcakes (I used a Wilton 1M tip to decorate these). If desired, top with Rodelle Cinnamon sticks***, as in picture. Hi, when you say cloves are you talking about whole or ground? Also what would a good replacement for molasses i live in the UK and we have golden syrup or treacle and not sure if they are similar. 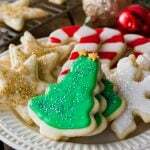 Recipe sounds fabulous, hoping to make some festive treats for children’s teachers. not sure if you looked at the ingredients of the vanilla items you are buying but i did. these are not pure items at all , not even close to vanilla products i would say……………..sorry. take a look yourself at the vanilla bean . first item is sugar, that says it all. then the next one and so on. homemade vanilla takes two items. thats it and its PURE. Hi Kari, I think you are speaking specifically of the vanilla paste, which is made of different ingredients than their vanilla extract. I love the vanilla paste because of the great depth of flavor (and the vanilla specks!) it adds to anything that I add it to (and I’m not exactly shy of adding a few extra grams of sugar 😉 ), but please feel free to substitute the vanilla paste for regular vanilla extract or a scraped vanilla bean instead, if you would like! There are certain flavors that are necessities at Christmas, peppermint and ginger topping the list. I wanted something gingerbread, but not cookies, so I looked for a gingerbread cupcake. 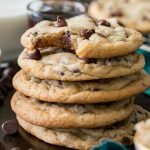 I’m glad I decided on these because I just finished making them and they are amazing! I was afraid the amount of molasses would make the cupcakes heavy, but I love their texture and “just right” spicyness. 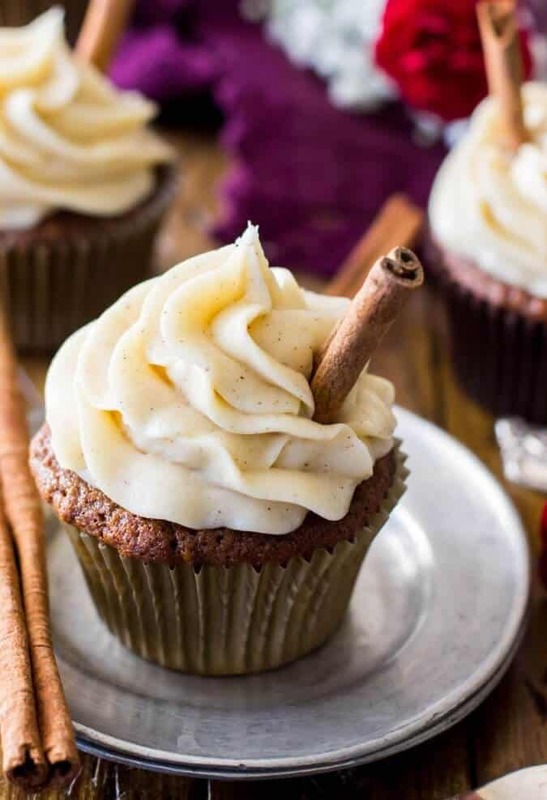 The cinnamon cream cheese frosting is the perfect, not-too-sweet complement. This was my first time on this site but I will be visiting often. 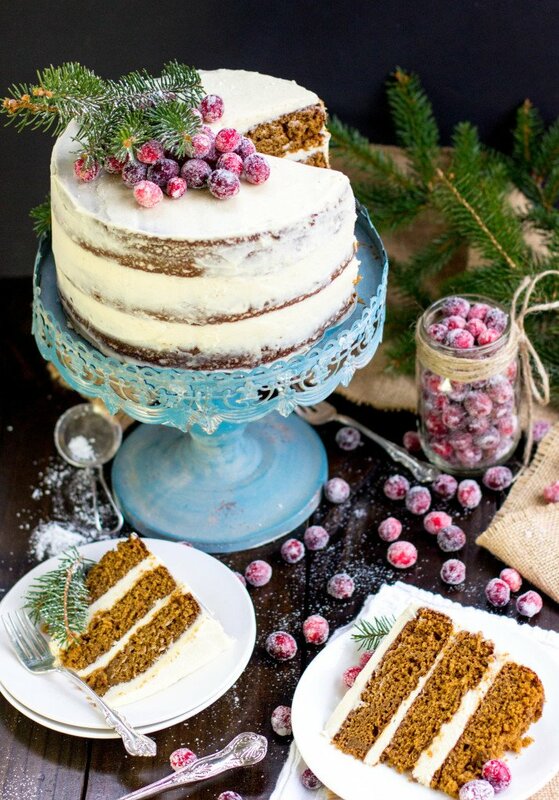 This sounds like a perfect Thanksgiving and Holiday Dessert. Plan to put it on my try this year list. I use Pure vanilla from Mexico like the flavor better than what ours is. Haven’t tried the Vanilla Paste or any of there products. Hope I win would like to try them. Is Rodelle available in stores or just on internet? Betty I’m so sorry I didn’t see this sooner, my spam folder caught a lot of messages it wasn’t supposed to last week! Rodelle is available in some stores, one of the three grocery stores in my area carries it. I believe you can go to their site to find if a store near you carries it, but I’ve found its the same price on Amazon as it is in the store, so if you have Prime/free shipping it’s not a bad deal to order it online! 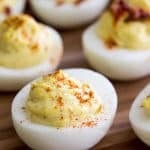 I have a question, I want to make these to take to a dinner on thanksgiving day, (lovely recipe from the looks of it!) but it’s been years since I have made any gingerbread and I cannot recall ever seeing unsulphered molasses … if I cannot find that, is regular molasses an okay substitute? 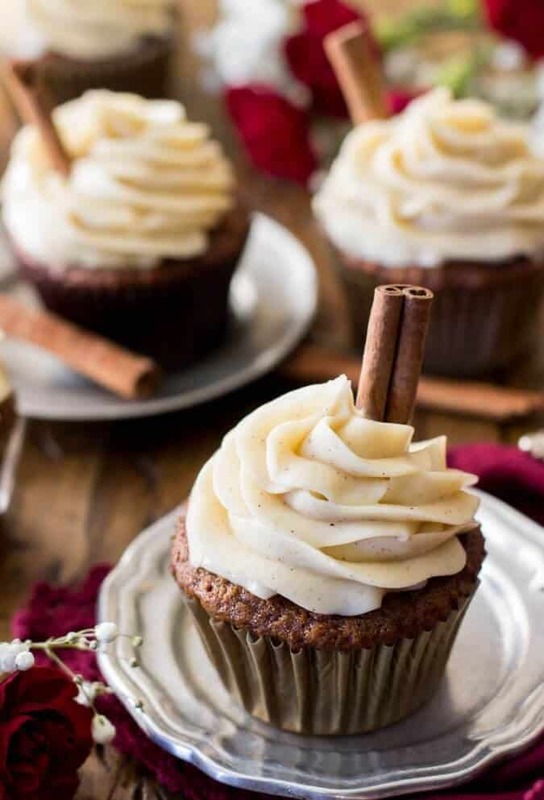 Will it change the taste of texture of these cupcakes? These look amazing and so flavorful! 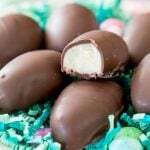 These look to die for! I can’t wait to try them out! 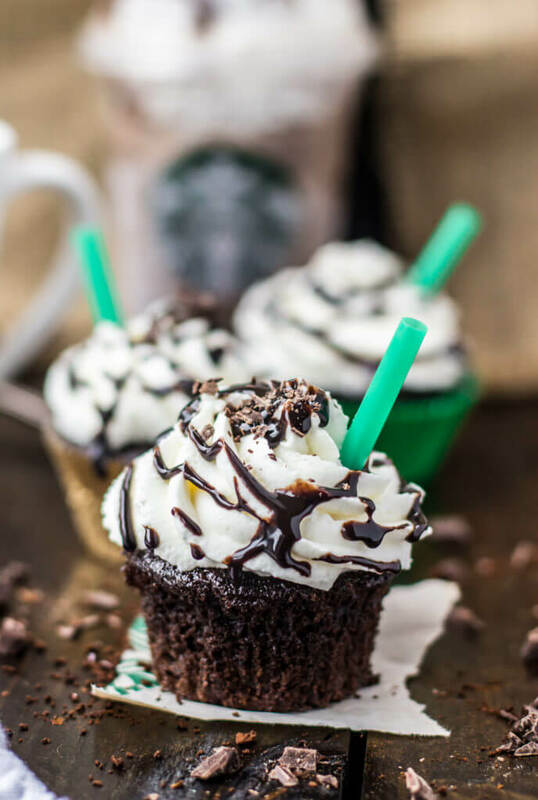 I love these cupcakes, and never get tired of a good cream cheese frosting! Thank you for giveaway!